Design, among many things, is about attempting to control how a product will be seen by the user. Control has limits. The other day I had the opportunity to see a 1998-1994 Lincoln Continental roaming around the city. Unfortunately for Driven to Write’s readers I could not take a photo in time, so a stock photo will have to suffice. Until that point I had not seen one of these in motion. My impression of the car differed markedly from that based on photos like the image above. The experience led me to consider how little control designers have over the way the car is seen in motion. First, the car is now set in the context of a moving background (one’s eye is fixed on the car). Second, the car’s apparent size alters in relation to the environment. Third, there’s a driver in the car and their presence scales the space of the interior and its relation to the exterior. Interestingly, an in the light of my recent readings, the moment became elongated or stretched out in relation to the short and relatively empty moments around it. The phenomenon altered my perception of time. Simultaneously, the moment seemed to be a freezing of perception: all my concentration was absorbed by the car in motion. My contention here is that while the designers had drawings, clay-models and eventually prototypes to work with, they did not have the ability to account for the manner in which the car would be seen when realised in metal and set in motion upon tarmac. Statically, the car’s volumes and details suggest inertia and chromed edges. It’s a far from unattractive car: I happen to like this period for its rounding of the edges of blockier masses. The 1991 Oldsmobile 98 Regency has something of a similar charm. These static characteristics are what the designers could handle during development with perhaps an eye to how it might be seen in motion; perhaps they walked around the car or stood at various distances; it may have been possible to roll a model around an area outdoors. None of that especially corresponds to seeing the machine gliding at 45 mph in a complex urban setting. In such a setting, the details and masses blur. The Continental I saw took on a clearer shape and I saw past the edges and lines to what I might call the deep structure, maybe corresponding to something of the first ten lines of a quick sketch, features often submerged by 18 months of further development. It might take a minute to have a great idea for a shape and it surely takes 18 months to conceal and confuse it through repeated reworking and elaboration. The upshot of the Continental moment is that I have another, and very different notion of the car than I had before. The tension between the formality of the upright forms (plus falling sweep of the roof and wedge of the belt-line) and the way it glided through the traffic produced an unresolvable third impression, a positive one, I should say. I doubt very much the designers could be certain this was how the car would be seen. Parked up, the car is pleasing enough. Seen from inside another moving car, it might gain a little. Seen from the pavement, the Lincoln becomes a fine statement of the “town car” or limousine values. Luckily for Lincoln, the static work paid off. The final thought is that we see a lot of cars in motion, so many we don’t notice them except as hazards or visual noise. The Lincoln attracted my attention because it’s a rare car. What will I notice when I start looking at more mundane vehicles in motion? Could it be that true design genius is able to see the product as a sculptural whole first and this very object in motion second? Like Sir William Lyons did/seems to have done with Jaguars? Italian efforts like the Stratos or Alfa GTV 916 seem to express the same imaginative power. GM used to create fiberglass mockups of vehicles in development so they could get them outside and in some cases they were driveable. For example here is an early 1970s downsized Cadillac concept that made it to the fiberglass but never made it to production. I guess the idea was to see what they looked like “in the wild”, as I don’t think a fiberglass body Cadillac would have much use as an indicator of what the car would be like to ride in or drive. Wow – when is that prototype from? I have never seen it. The glazing is noteworthy. And I was unaware they made those models. I have learned something new! Really elegant yet imposing looking car! Gob well and truly smacked! 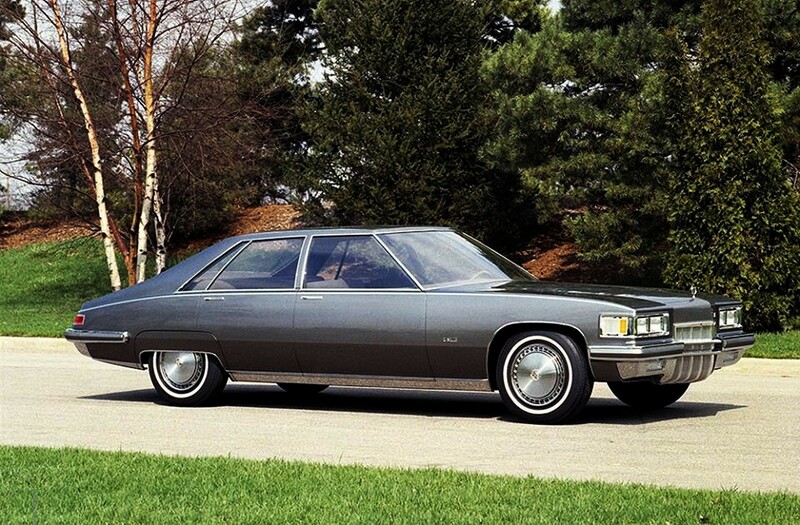 This was an pre-oil crisis effort to create a smaller Cadillac – based on the GM intermediate platform (Cutlass etc.). Once the oil crisis hit, they changed course and wanted an even smaller car. When the Opel Admiral was not buildable in the USA due to tooling issues, then used the Nova platform as the basis of the first generation Seville. The vehicle above was called the Cadillac Lasalle. There was also a Lascala design concept that didn’t make it as far, although you can see future elements in Cadillac design in both prototypes. 1972. The front treatment is consistent with that. Other aspects are a decade before they turned up in production. I´ve been looking at contemporary cars in motion. Many seem to be dimished compared to when seen statically. Perhaps the Conti is a bad example since it´s big and rare and also has super-soft suspension giving it a gliding, floating look an Aygo can never have. You will roll your eyes when I say the Insignia has a good down-the-road presence. And maybe you´ll be surprised to hear me say the C5 Mk2 takes on a suble GS-esque quality. Speaking of which, has anyone seen Simon S.? I’ve seen him recently. He had some quite busy months with not much mind capacity left for the really important things in life. But this should improve in the time to come – hopefully with more contributions to DTW. Regarding the C5, I’ve never made this observation. But every time I see a C6 in motion I’m struck by how different it looks compared to ‘normal’ cars. With its wafting movements it always reminds me of the DS. So why not C5 and GS? I’ll think of that upon my next C5 sighting. Simon: hello. And yes, the C6 moves about like a shark among trout. I have always thought that the Jaguar XJ40 was particularly flattered by being viewed in motion. Also, I like to see as semi-overhead view. Stationary or in motion, it tells you a lot. I’ve always found this design very interesting. It was such a dramatic change from its rectilinear predecessor and those smooth flanks puts me in mind of a yacht*. I remember these mainly as taxi cabs in New York and, on the move, their relatively soft suspension reinforced the marine perception as they bobbed up and down over the city’s potholed streets. Unfortunately, GM progressively watered down the purity of the original design, first by changing the semi-enclosed rear wheel to a conventional wheel arch, then altering the DLO to incorporate a “Hoffmeister kink”. There’s nothing especially wrong with the updated design, but is it an improvement? There´s another of those “car moment” cars: I saw a Caprice in Rotterdam once. It had that sailing motion you talked about. I was not really aware of the revision to the Caprice. The first one works best, even if it is a bit bloated. Compare with the Omega “A” of the same time: clean, sharp and taut. Very much: a Jaguar outside of England takes on a whole new dignity. I like to see them in Switzerland or France. I saw an E-type in motion last autumn and it gained a lot from that way of viewing. Speaking of Jaguars, I had the pleasure to regard a jet black X351 in motion the other day. It was something of an epiphany to observe in the body side reflections an incredible fluid and dynamic tension in the sculpting of the lower body. I had previously regarded the thick lower body as awkward and clunky, but the moving reflections present a very different image than the static one usually conveyed in photographs, and from my previous impressions of seeing examples briefly in passing or in traffic. I also noticed how the extremely shallow greenhouse isn’t really anything like the Audi designs it superficially resembles, there is a much springier tension in its curves, similar to but more exaggerated than what is common to Mercedes. The greenhouse tapers back from the B-pillar so there is a progressively increasing tumblehome toward the rear, adding more dynamic tension which also somehow isn’t conveyed well in photographs, where the front section of the greenhouse up to the B-pillar tends to cement an impression of uprightness. Also I think that most of us get so distracted by the unfortunate plastic C-pillar insert that is universally loathed, why do they persist with that horrid detail? It seems tolerable only when the car is painted black. Then as an object in motion, the three dimensionally curved and tapered roofline shape takes on a solidity of form instead of appearing to be a bunch of disparate shapes mashed together, the greenhouse then acquires the aspect of thrusting the car forward like a loaded spring. Where the C-pillar meets the boot I noticed an interesting triangular shaped cutline which again my disdain for the black plastic panel had caused me to overlook in the past. I still couldn’t help but notice that there are just too many cutlines here, nevertheless given this car’s black color they are interesting and memorable. I had read on these pages that unlike the XF and XE, X351 is a “true Jag”, and I now understand what was meant by this, at least on a black car. I suppose the color had a lot to do with it, the moving reflections were mesmerizing, not “flamey” but rather purposefully flowing and graceful, it was art in motion, a dynamic sculpture, quite an eye opener. Even if the break at the lower edge of the pillar were disguised, I think your eye would still focus on how the boot shut line disrupts the smooth sweep of the roof into the boot lid. I might play with this photo later to test this. Purely by chance, I happened upon an XJ today and after deciding at its introduction that it was quite unbefitting of Jaguar and not to be taken any attention of I was surprised to note that it seems to have matured somewhat (or perhaps yours truly has!) and I was rather impressed by it. Now, we’re cooking on gas. With all due respect to the talented people who did the XJ, the shutlines of the boot area are not good enough. Where the C-pillar ends and meets the boot/wing there´s an odd bump. Daniel´s reworking of the area shows how noisy the original is. To return to the day´s theme, the XJ on the road is an imposing old barge, not that I have seen so many around here. You can´t see the silly old shutlines but you do see the fin-like lamps as the car vanishes down the road. Btw could you do something to the tail lights? For me they still jar. Thanks for those Photoshops, Daniel. I should note that I was driving behind and in an adjacent lane at around 100kph, I pulled almost abreast of it, observed and let it pass. No static photos, as I’ve stated, can showcase the quality and motion of the flow of reflections at speed. This video shows a fraction of a second of it at 1:06. Richard, I hope you can see how this imposing old barge has a hidden dimension of visual interest. What is unique I think is how the effect is so vivid and constant over the whole whale-like mass of it all, whereas other modern designs concentrate interesting background reflections only in parts. Again this can only be appreciated when the car is seen moving fast, and it helps if you’re moving with it. X351 may ultimately court more controversy than E65 does, as DP’s comment showcases how time and hindsight might temper some of our views. I still think X351 is overall a failed mess, but fascinating in its boldness as to what was attempted. Hi pjrebordao. Altering the tail lights might be way above my Photoshop competence, but I’ll give if a go. I’m not sure how to improve them, but it would need to relate to the altered boot shut line. Richard, like you, I always thought there was an odd bump at the base of the pillar but, having played with it, I now think it’s an optical illusion caused by the awkward angles of the bottom edge of the black panel and boot shut line. I suspect the profile is actually quite smooth. One of my neighbours has an XJ, so I’ll study it more closely the next time I see it and take some photos, to satisfy my curiosity. 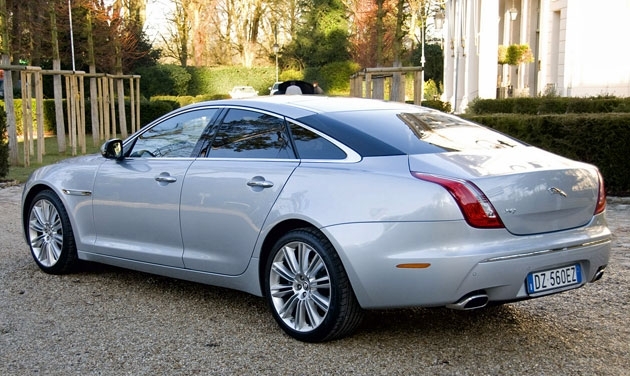 Actually, the X351 XJ is a far more distinctive design than the safe but dull XE and XF models. Perhaps it’s replacement might develop the theme and resolve the rear issues? There’s no point in Jaguar doing a “me too” design, as the smaller models have shown. Daniel, that photo shop cleans up this area immensely. It allows the curvature of the roof to meld gently into the decklid curve. This entire discussion of appreciating the view of an auto in motion, in context with urban or country backgrounds and surrounding traffic is quite important. Not a subject that is often noted. The idea that the “nationality” of a design is intriguing, certain American designs have been seen as almost exotic when seen in European locations. I’m remembering an article in Car and Driver of a late 70’s Pontiac Trans Am in Paris. Really enjoyed the article and comments! Good stuff. That Lincoln Continental was a Ford Taurus family sedan with “formal” styling, a none-too-peppy V6 engine and front wheel drive. Not even all that big or mushy compared to a Town Car. Perspective and context is an amazing thing. Was walking down the street across from Green Park in London with another Canuck back in 1971 or so, when a brand new second generation Chevrolet Camaro stopped beside us. The driver and his terrified wife were lost, looking for directions and had just barely survived Hyde Park Corner with LHD. A two-seat coupe that looked svelte in North America was a monstrous gargoyle in London, looking as out of place as anything could possibly be. Stunningly awkward looking. Like a Hillman Minx in Decatur Illinois. It doesn´t look like a Taurus, at least. Cars like the Conti really sit well in Copenhagen, where I saw it. Traffic is not rapid and there are a lot of boulevards to roll down. Continental, Town Car? 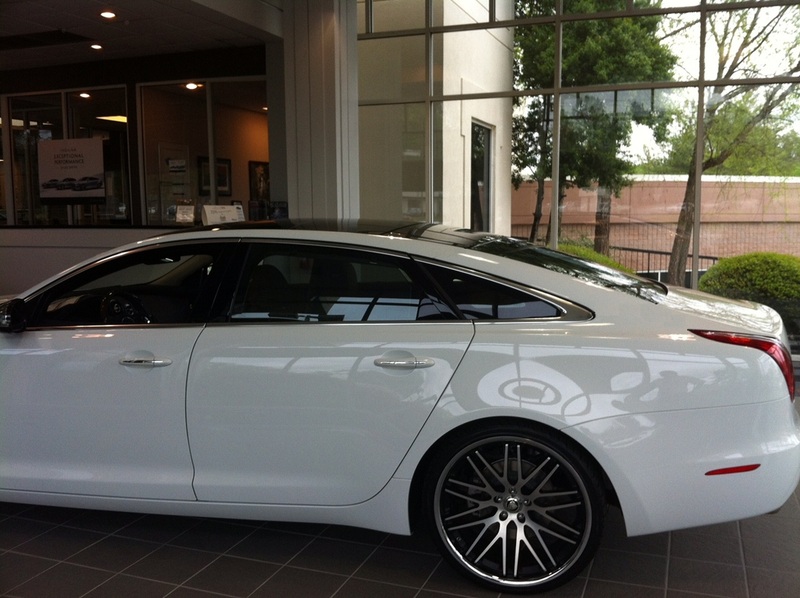 The Conti is FWD and the Town Car is on the Panther platform…. they look horribly similar. I was not clear on this and still may not be.